Did you know there’s a spot on your website that 8 out of 10 real estate investors neglect that may be causing your best prospects to leave your website everyday? The page that is often the 2nd most visited page on your website. The page that can push someone over the edge to work with you or push them away from you only to work with your competition. What is that page that carries so darn much weight in the overall trust and credibility of your site? Yep, that page that you fly through and say “I’ll come back to and finish later” that is possibly causing people to distrust your site and your company. And maybe… just maybe… you may have already lost a deal because of it. How Much Does A Lost Deal Cost You? $5k? $10k? $20k+? This blog post will show you how to make sure you stop letting deals and leads slip through your fingers and lay out why that about page is so darn important (backed by science). 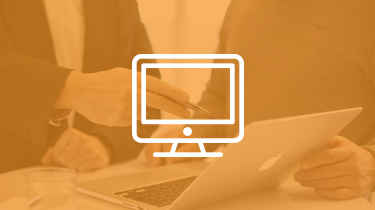 Building a real estate investor website that performs is part art and a whole lot of science. … and one thing we’ve found that is the same across every single test we’ve ran is this. … and it’s one of the most engaged with pages on every site. Not one. Not a few. 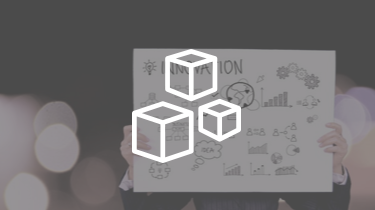 Every site we’ve ran tests on has shown us that a significant portion of the visitors flow through to the about page to learn more about that company to see if they’re a credible solution to solve their problem. 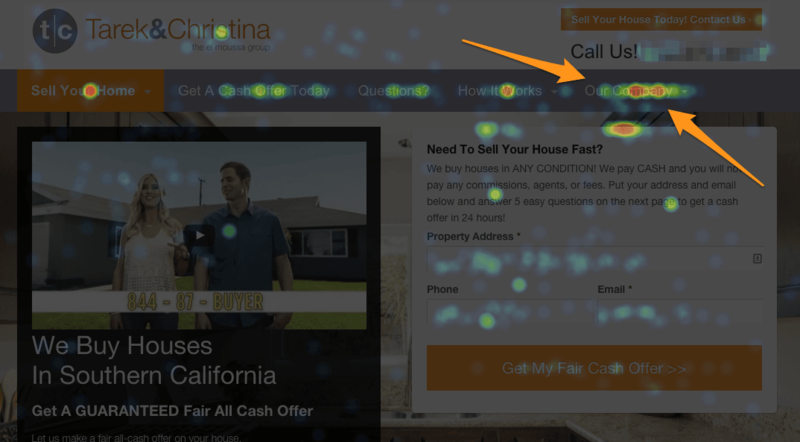 Below are a few heatmaps from split tests we ran on motivated seller sites from Carrot members all across the country. 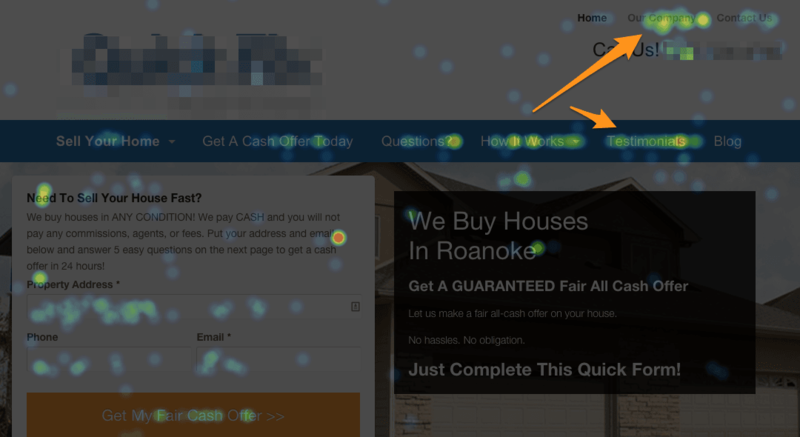 Plus we’ve thrown in a heatmap from our own oncarrot.com website just to show you it’s not a real estate investing specific phenomenon. 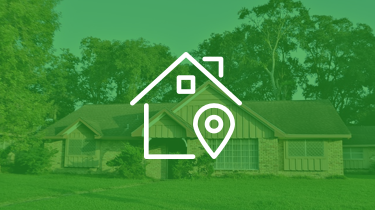 Below you’ll find these heat maps that show the click pattern of the motivated house sellers in these websites. The bigger the “hotspot” and the more red, the more engagement on that link. The cool thing is that we chose sites where their About Pages are in different locations and say different things (some say “About Us” others “Our Company) so you know it’s not just because of the placement of the link on the site. Notice the motivated sellers engaging heavily on the “About Us” page, the Contact Page, and even the Facebook icon at the top. All of these are to validate their trust or lack of trust in the company before they choose to do work with them. Similar results in a link called “Our Company” at the top of the site and similar engagement on the Testimonials link. Again, this shows the visitor is working on learning more about the company behind the site to make sure they’re legit and can honestly and ethically solve their house problem. Tarek and Christina of HGTV’s Flip or Flop have been utilizing Carrot well and you see a similar result there, even though they have a high profile on TV… people are still diving deeper to learn about and build trust in the website before they decide to work with them to sell their house. Again, even before our own clients decide to work with us they are seeking out information about us as a company to make sure that our values match theirs and to make sure we’re real people behind this company. We could show you dozens and dozens more heat maps showing the same thing, but in the end… your about page is crazy important. So now that you know that you either need to get real with building out a GREAT about page or risk losing leads and deals, let’s get to making an epic about page for your real estate investing website! Using our Carrot about page as an example, here are 4 simple but powerful website about page ideas and examples so it’s an asset for your business rather than another forgotten “throwaway” page. First step, head over and open up our About page so you can follow along. People want to work with people that believe in and stand for things similar to them. 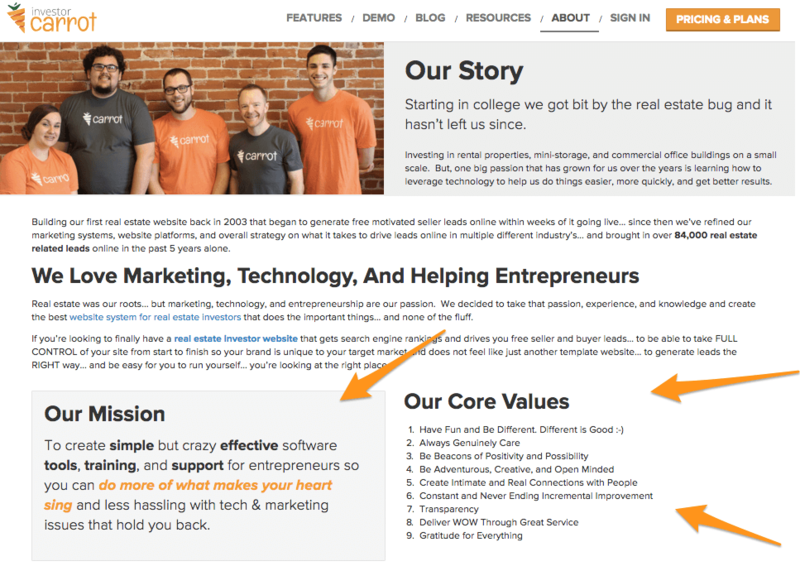 Don’t be shy about sharing your core values on your about page like we do here at Carrot. 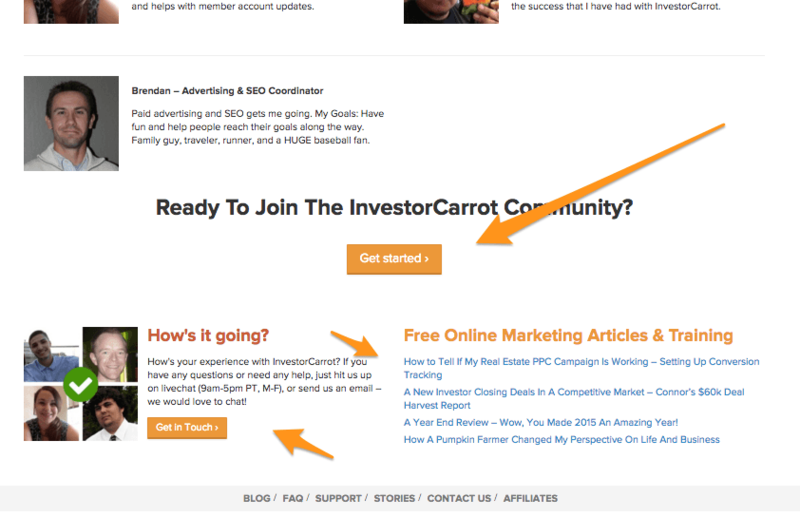 I can tell you first hand that I know for a fact that some customers have joined InvestorCarrot because of our Core Values. Display what you stand for loud and proud on your about page. Don’t hide it. A short list of our Carrot Core Values and what we believe in. What do you believe in? Our mission with this business… something that excites us at our core. Why are you in business? Make them feel important on the page… don’t just mention them in passing. Make them stand out. I read so many real estate investing website about pages that are just a bunch of real estate jargon and stuff that the investor thinks “validates” them in their prospects mind. Their 20 years experience, 7 licenses that they have, and just how much they “want to serve you”. Those all may be true, but you’re not connecting with your prospects at a human level with that kind of speak. Tell your story, what drives you, how you got started, why you even care about helping them in the first place. Make it fun. What’s your story and how did it lead you to helping the people your company best helps? It matters. Talk about what you love about your business and how that relates to you being their best viable option to do so. Make it fun. Add a picture of your team in there and connect with people on a human level. No glamour shots here. Introduce your team. Your team is important to the prospect because you’re the actual people behind the company. We added a picture of part of our team in a laid back setting… then at the bottom of the site you’ll see simple profiles of our whole team. It builds real connection and they can picture themselves talking with these real people. 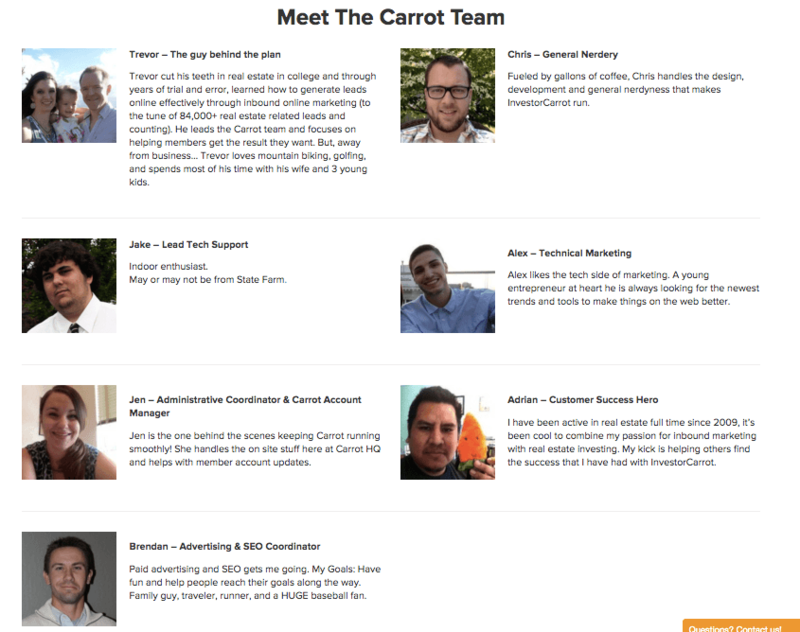 … then at the bottom of the page are our full team profiles. Robots are fun, but I don’t know one person who trusts a robot. Do you? All kidding aside, write the way you would talk to your prospects. If you are laid back and easy going, write that way on your website. If you are analytical and fact based, write that way on your website… but do it in a way that is conversational. I always like to imagine myself sitting across the table from my best prospects, what would I say if they asked about us? That’s how I’d write it. Write in the first person. If you talk in the 3rd person when you’re in front of a prospect you’d sound like a goof ball… you better believe you sound the same way if you talk in the 3rd person on your about page. Write like you talk in real life. If a 5th grader can’t read it you shouldn’t write it. Don’t use paragraphs that are too long. Keep things short and punchy. Here’s another great idea we tested 2 years ago that boosts performance… every darn page on your website should end with a clear call to action. Never let your website visitors get to the bottom of a page without guiding them on where to go next. This is especially true on mobile devices where we tend to not want to scroll back up to the top of the site on our cell phones after reading a page with a good amount of content in it. What is the main action you want them to take? Add a button or simple link to fill out a form (or the actual form) and even phone number at the bottom. So What Should You Do This Week? … and that almost always leads to the about page once a prospect get close to working with you and they just need a bit more verification before they do. As you’ve seen, science has shown that your about page is a hot button, and you’ve seen some website about page ideas… have you focused enough time and energy on it? What I’d challenge everyone to do this week is take the tidbits from this blog post and implement at least 2 of the 4 tips. Beef up that about page and attract more of your website visitors to work with you… your wallet will thank you for it. 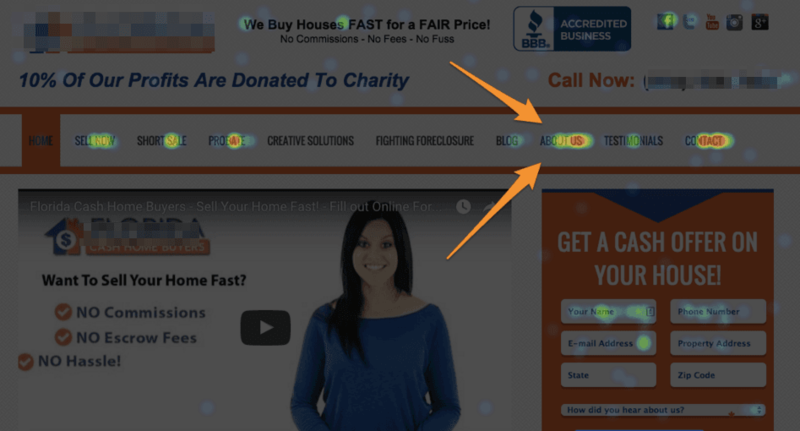 How many of the 4 About Page Keys do you already have on your real estate investing website? Let me know in the comments section below!